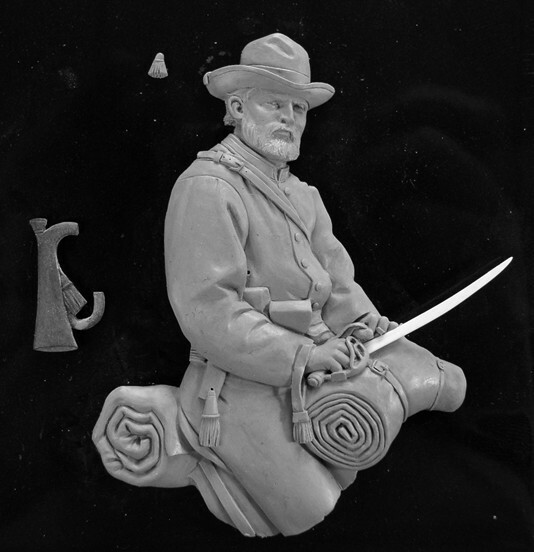 The Confederate relief is almost done. There is some cleanup work along with some minor back filling and other minor things (like adding the bugle cord) before it ships next week. The photograph shows the pieces that make up the sculpture. The small tassel that hangs off of the hat will be permanently attached. The bugle and saber blade are the only separate pieces.